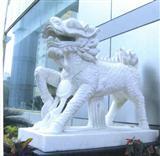 StoneVic (Zhangzhou) New Building Material Co.,Ltd. Xiamen Nangang Stone Imp.&Exp. Co., Ltd.
Xiamen Mars Rock Science Technology Co., Ltd.